Statistics show that more than half of over 500 firms listing on the Ho Chi Minh Stock Exchange announced negative earning results in the first three months of the year. Most of them suffered a year-on-year decrease in their first-quarter income due to the large provisions against their financial investments. Among them are Ha Noi Milk, who announced in the financial report that it incurred a loss of nearly VND2 billion (US$100,000) in the third quarter in a row. The Hanoi-listed dairy firm last year suffered a loss of VND21 billion. Ceramic tile producer Thanh Thanh, which lists on the Hanoi Stock Exchange, lost VND2.6 billion, while the unlisted maritime firm Saigon made a loss of VND14.8 billion compared to last year’s figure of VND11 billion. Beverage company Tribeco and ceramic tile maker Vitaly followed a similar pattern, losing VND9 billion and VND8.8 billion respectively in the first quarter of the year. The HCMC-listed property firm Phat Dat said in the financial report that it lost VND14.4 billion due to the slumping revenue and surging operational expenses. Construction firm Song Da 27 incurred a loss of VND4.5 billion as its revenue amounted to 18.4 percent year-on-year. Petrol supplier Petrolimex made a loss of VND3.85 billion due to strong US dollars this year. Ha Nam Import Export Joint Stock Company announced the interest expense that surged 119 percent year-on-year this year made it lose VND4.2. Hanoi Investment General Corporation also suffered a hit from a similar problem, causing a loss of more than VND3 billion. Financial experts noticed setting provisions against financial investments were among the main causes of losses of listed firms in the first three months of the year. “Many companies had to set aside 33.6 percent of their after-tax profit in the first quarter as a provision against their financial investments,” said a broker at a HCMC-based securities firm. Among 26 business sectors are 13 making negative earning results in the first quarter, of which firms in technology and telecommunication sector incurred a large losing rate of 88 percent, mechanic 66.5 percent, electrical appliance 48.4 percent, property 37.8 percent and seafood 24.7 percent. Companies listing on the HCMC bourse had a revenue growth rate of 3.33 percent measly compared to 21.78 percent of ones on the Hanoi exchange. The Ho Chi Minh Stock Exchange’s VN-Index on Wednesday sank 4.1 percent to 385.91 as of 10:09 a.m. local time, heading for a 10th consecutive day of declines and the lowest close since May 14, 2009. Asia’s worst-performing benchmark index this year has tumbled 26 percent from its 2011 high on Feb. 9, exceeding the 20 percent drop that marks a bear market for some investors. 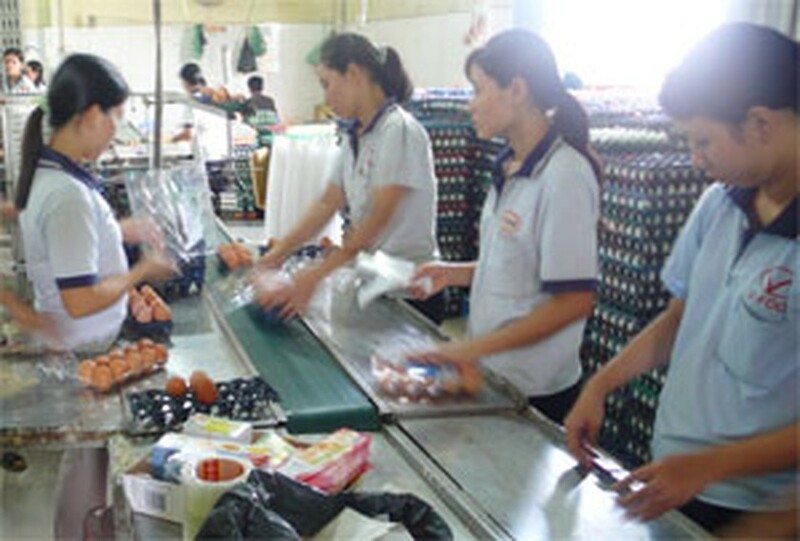 The State Bank of Vietnam on May 17 boosted the repurchase rate for the sixth time this year to curb inflation. Prices rose 19.78 percent in May from a year earlier, compared with 17.51 percent in April, according to data released by the General Statistics Office in Hanoi. That’s the quickest pace since December 2008. 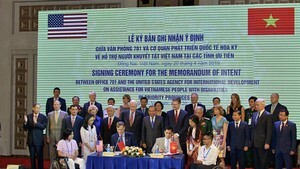 Foreign investors have sold a net VND107.9 billion ($5.2 million) of Vietnamese shares since May 20, according to data from the Ho Chi Minh Stock Exchange’s website Tuesday. The three days of selling were the longest series since Dec. 2 to Dec. 6, the data show.